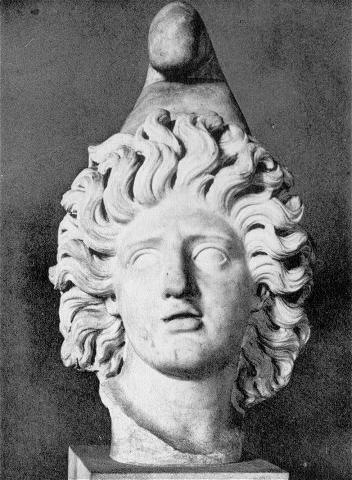 The head of Sol-Mithra – Mithraeum. Our Common Sun. Near the altar a head of Mithras with Phrygian cap was found (h. 0.45). In the cap are holes for metal rays, so Mithras is depicted as Sol Invictus. Furthermore a head of Sol-Helios was found, with seven holes for rays.